Fox News reported that on April 1, Pres. Donald Trump took to twitter and expressed his innermost feelings about immigration. “Border Patrol Agents are not allowed to properly do their job at the Border because of ridiculous liberal (Democrat) laws like Catch & Release. Getting more dangerous. “Caravans” coming. Republicans must go to Nuclear Option to pass tough laws NOW. NO MORE DACA DEAL!” The tweet read. 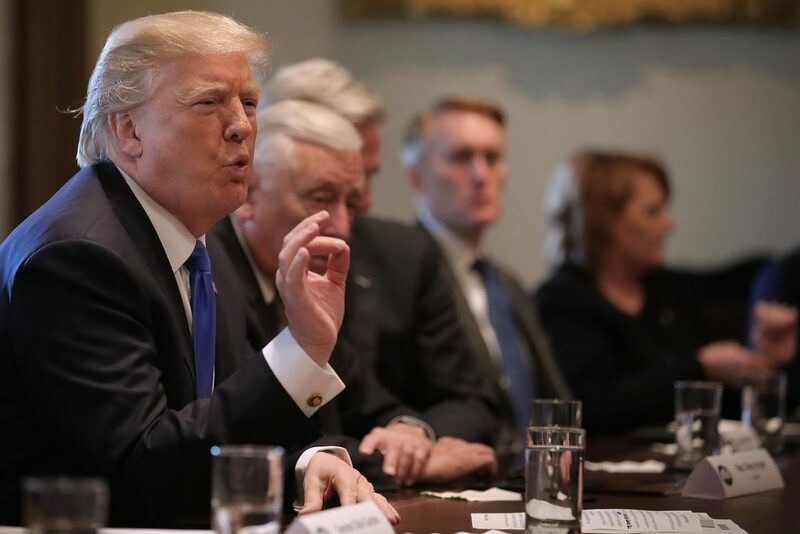 Trump calls for help from Mexico to prevent the flow of illegal immigrants and the exploitation of DACA. Claiming that DACA recipients had a good chance, but now Democrats have “blown it” for them. Unsure of what sparked the president, it seems we must talk of DACA once again. What does President Trump mean by “DACA deal?” In early January, a government shutdown lasted three days; the cause being a disagreement of Trump’s decision to cancel the DACA program. Representatives refused to sign a bill on the government budget plan until a bill supporting the Dreamers was proposed. An agreement to revisit the fee allocation on March 23, was reached with the promise of a “Deal” for DACA. A bill was signed on March 23, but no mention of DACA. An issue that, as we know, affects a lot of people. Almost 800,000 immigrants benefit from the Deferred Action for Childhood Arrivals. Those are not just Hispanic immigrants, but immigrants from any nationality. To be eligible to receive DACA, you must meet specific criteria. You cannot have a criminal record of any kind. You must have attended or be attending school in the U.S. You are not eligible if you arrived in the U.S. after the age of 16. Not being older than 31 when the program was proposed. On top of this, prove that you have bee in the U.S. since 2007 until 2012 (when the law was passed) must be provided and you cannot have left the country in that time. For more detailed information visit the U.S. Citizenship and Immigration Services website and search DACA. In a recent poll conducted by CBS News it was stated almost nine out of 10 Americans (87 percent) support the Dreamers. This poll is bipartisan with 79 percent of Republicans and 92 percent of Democrats in favor of DACA. Public policy research organization, CATO, found the economic impact of ending DACA would be a near $200 billion. Rep. Ike Brannon commented it was “really unrealistic” to presume that the federal government would be willing to expend the resources necessary to deport all those affected by DACA. With all of this on our minds, it is still unclear what the future of DACA holds. It is time America reaches an agreement so this conversation can finally be put to rest. Next A green house inside a building on USUE campus?